We had lunch in Date at a restaurant that served tasty little dishes ordered at the table using an iPad that displayed thumbnails of available dishes, which could be enlarged for closer inspection. A waitress brought the food within five minutes or so of our placing the order. When we had finished, we wanted to try a couple more dishes so we chose from the iPad and the waitress very quickly brought the new food. 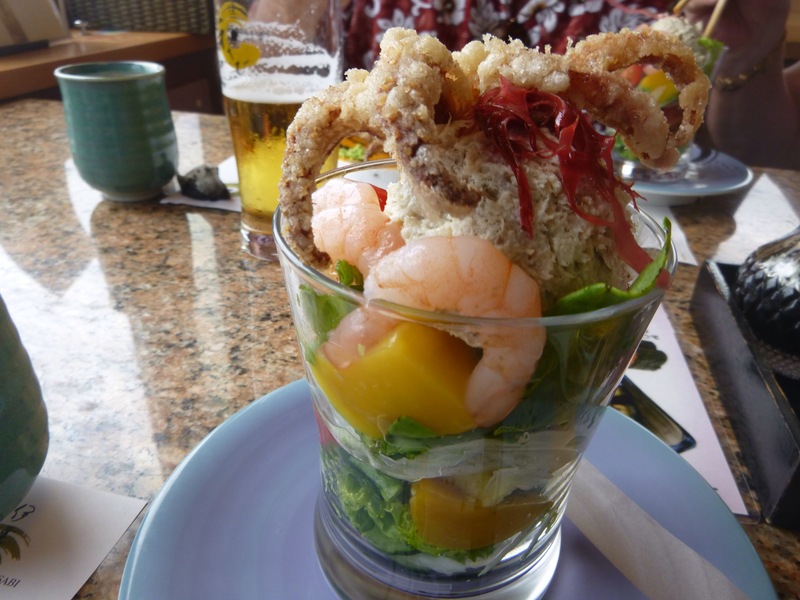 The squid salad came with prawns, mango and avocado, it was very fresh and tasty. When it was time to pay, the waitress counted up the number of empty plates on the table – different coloured plates represented different prices. The cost of our meal, with beer and an endless supply of tea was £8 a head. 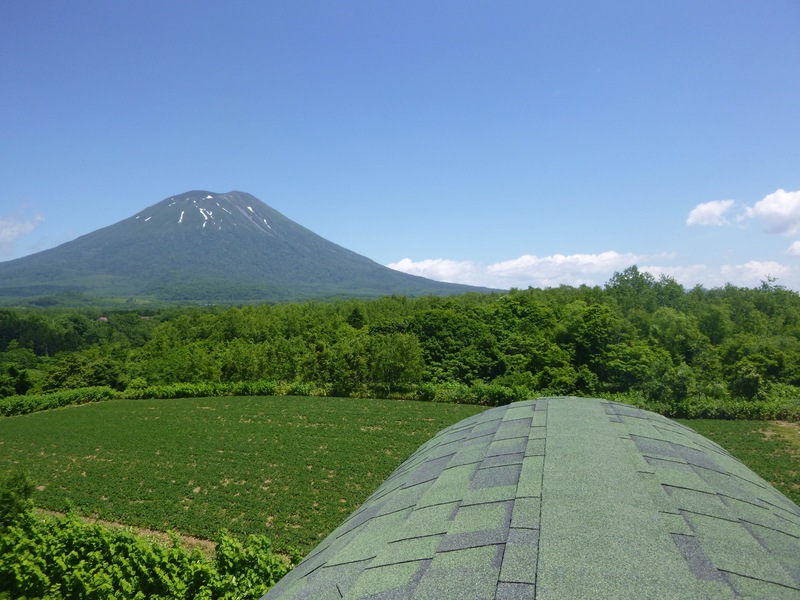 The following day we were travelling towards Hirafu to spend a couple of days at one of Jonny’s ski lodges. 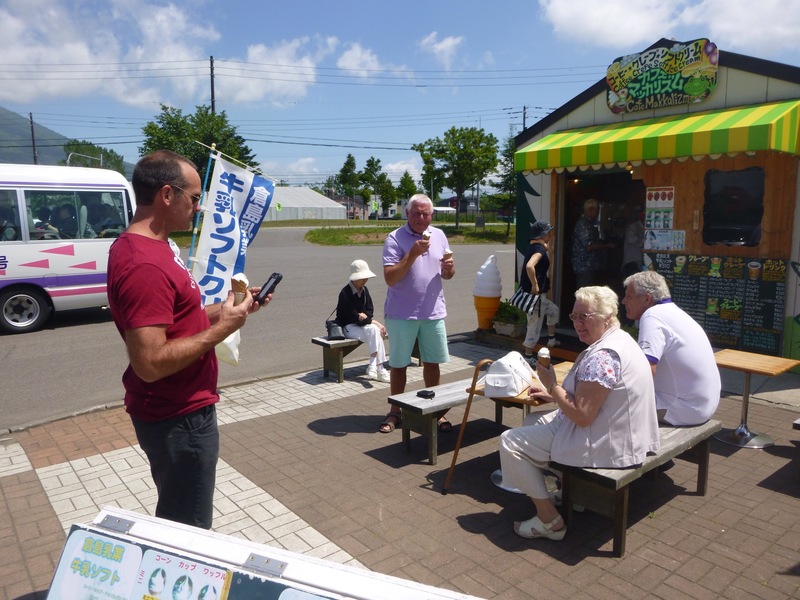 We stopped for an ice cream made from the the local milk before having a buffet lunch at a restaurant in Nikeso, a ski resort at the base of Mount Yotei. On the buffet bar was a large cooling dispenser which served their local drinking yoghurt which folk were having with their meals. I didn’t really feel the need for more dairy after our ice creams but later I did try a glass and it was quite delicious and refreshing. I am sure it aided digestion. 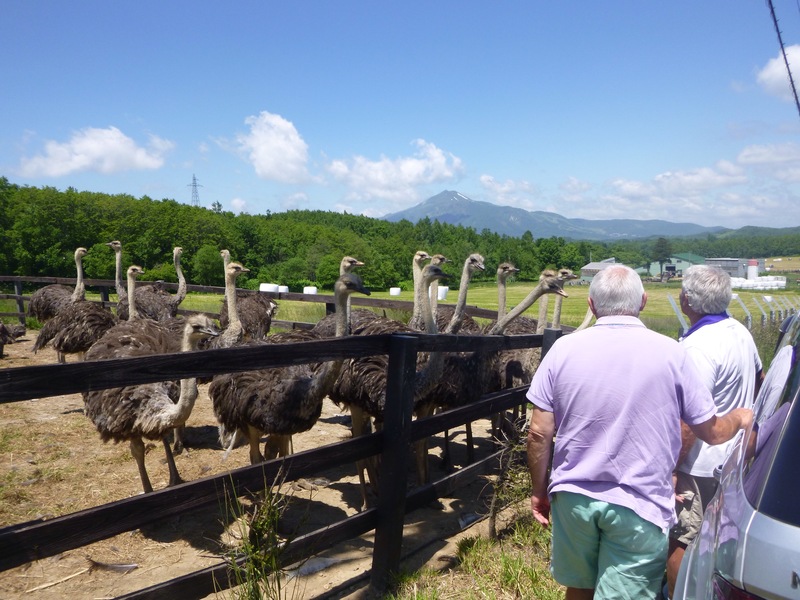 We passed an ostrich farm with beautiful views of Mount Yotei and then we called in on a friend of Jonny’s who was self building a house facing that mountain. 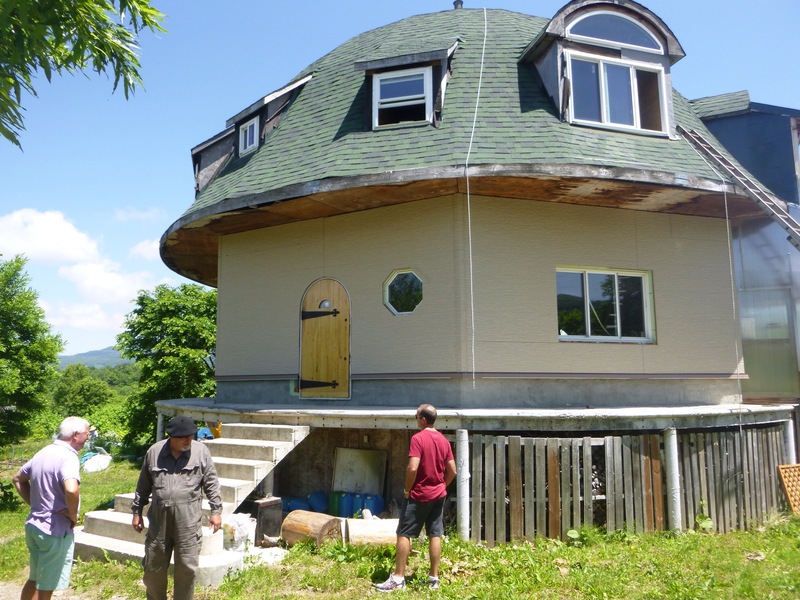 He had been working on the project for eight years and was nowhere near completion. The House That Rob Built . . .